Welcome to foreclosurewarehouse.com. 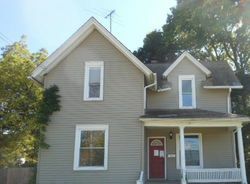 We have been providing Illinois foreclosed homes for sale and nationwide foreclosure listings’ information since 2001. Our website gives you the option to narrow down your search by the desired price, number of bathrooms, number of bedrooms and property type. 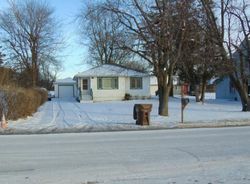 All our Illinois foreclosure listings are previewed for errors by our employees here at foreclosurewarehouse.com. Every Illinois listing contains contact information and photos, if they are available. Chicago is obviously the biggest and most well known city in Illinois. It is where many people come to vacation every year, and the center of some of the largest businesses in the world. If you have looked for housing here, you know it is expensive, be sure to look at foreclosed homes and find great deals here that you can afford. Look into neighborhoods like Cicero, Stickney, and Oak Park. Chicago Heights is a small city that is still located in Cook County. Although this is not Chicago, it does have a great small town feel. You are still close enough to Chicago here that you can live here comfortably, get to the city when you want, and get away from the city when you want. It is a great balance and a great city to look at purchasing a home in. Elgin is a city that is located northwest of Chicago on the Fox River. This city is fairly large and is the 8th largest city in Illinois. There are lots of great golf courses, performing art centers, and museums here. If you are looking for a great place to raise a family, Elgin is just that. Aurora is known as the city of lights, and is located near Chicago. This city is located on the Fox River and has many great attractions. It is a main business center outside of Chicago, and a great suburb to raise a family in. Illinois has a lot of great attractions and cities to live in. 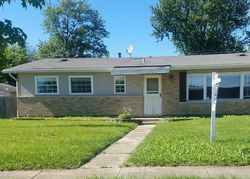 If you are looking for a great place in the Midwest to live, take a look at all the cities in Illinois with great housing deals right now.